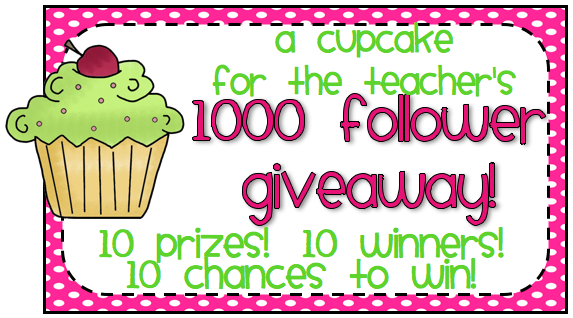 There's a seriously good giveaway going on over at A Cupcake for the Teacher. Head on over and enter to win! Thanks for telling me about this giveaway. The Honey Bunch is having a giveaway for a half price blog design. Go check it out.